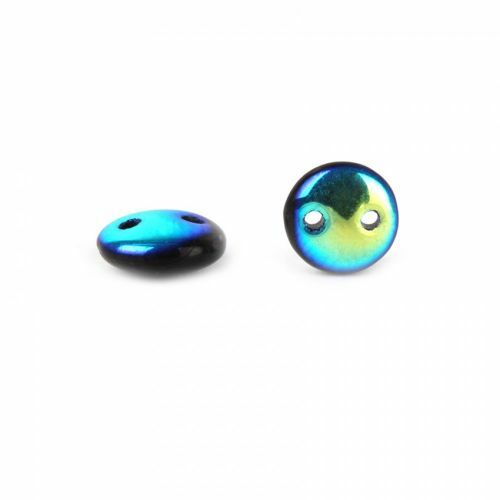 Make elegant evening wear jewellery with these lovely Preciosa Twin Hole Round Beads in Black/Blue Iris. These twin holed beads are domed on both sides and so will sit beautifully around your neck or wrist – why not try working them into intricate 3-D shapes? The beads are a stunning blue/green colour on one side and black on the other - they are ideal for pairing with seed beads in all sizes. Each bead measures approx. 6mm.